A number of you will not care for this post, but who cares! I love College Football!!! 48 Days until kick off for my Alabama Crimson Tide! Saying that I am excited is an understatement. I do understand that with the new Collegiate Football Playoff System there are going to be a lot of bugs and I’m sure there are many that hate the system, though they haven’t seen it in action. 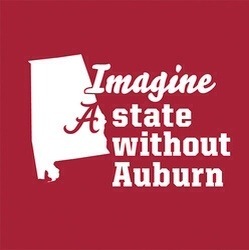 I, for one, don’t really care, because I know my Crimson Tide will rise to the top and will win inaugural playoff. No, your eyes are not deceiving you, I did say that we are going to win. Why am I so confident? Because we ended our season in such an awful, (that’s my word, so don’t steal it!) fashion, the players and coaching staff have something to prove. Mark my words, the Alabama Crimson Tide will win the 2014 – 2015 Championship. I know a lot of you are saying yeah right. Let me give you my stats as far as my Tide winning Championships, I am 2 for 2. I predicted number 14 & 15. I said they wouldn’t win last year because all the players hadn’t bought into the “Process”. The Alabaman program as a whole has a totally different state of mind. The Alabama Coaching staff has lit a fire in the current roster and I’m sure they are going to do what we are accustomed to and that is winning! I hope that I didn’t bore you too much, but I love me some damn Alabama Crimson Tide Football!! August 30, 2014 can’t get here fast enough! !